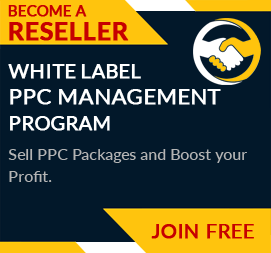 Even though you can try PPC management on your own, managing it at the later stages can be quite daunting. Your chances of succeeding are low without the precise knowledge of options such as geo-targeting, ad scheduling, dynamic search ads, remarketing campaigns and, the optimization process. Outsourcing PPC helps in such complex areas, as the PPC companies provide you with experience and knowledge in the advertising field. Here’s a list that will tell you why outsourcing PPC can be cost-effective for your company. Only a handful of businesses have the required amount of money needed for maintaining an in-house PPC management department. Most of the firms do not have the luxury to afford in-house PPC management. The money required to maintain an in-house PPC management department by far exceeds the price that a PPC agency charges. Moreover, if you hire a PPC team, you will not only have to pay them a regular salary but also provide them with overhead expenses. On top of that, you will also have to pay for the initial setup required for the new department. 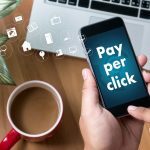 Comparing these expenses with the money that you will pay for outsourcing PPC proves that opting for a PPC agency is a better option of the two. 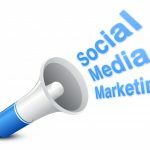 As you hire a PPC agency for online marketing, you get proper exposure to the necessary tools that will help you in making out the best of your PPC campaigns. With the necessary and relevant tools adding to the experience and knowledge, a PPC agency accurately focuses on the optimization of your PPC campaigns. 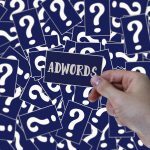 Tools such as bid management and competitor analysis prove to be a viable asset in the PPC campaigns. The dynamic nature of PPC advertising allows you to see updates quite frequently. 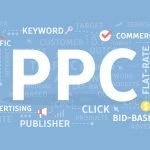 The changing environment and complexity of PPC demand a dedicated team that can provide enhanced services, adapting to the continually changing field. Outsourcing PPC helps in the adaptation as the professionals keep themselves updated with the latest PPC Facts, news and, updates, thus saving you both time and money. Updating to the changes is more difficult comparatively for the in-house PPC management department as they would also have to deal with other aspects of work. Overall, it would become a time-consuming task that would require them to work overtime. A small mistake can lead you to a loss in the PPC marketing industry. The campaign can collapse with a single wrong step. Mistakes happen more often when you give a try to PPC management on your own, as you need to deal with other spheres of work too. When you outsource PPC, you hire professionals for the management who have all the required tools and knowledge to avoid such mistakes and make your PPC campaign a success. Opting for outsourcing of PPC is the best option to choose for PPC management. It is a cost-effective solution that helps in maximizing the results by using the necessary tools and avoiding mistakes. Moreover, outsourcing takes the tension of advertising from you, and you can easily concentrate on the other aspects of your business.